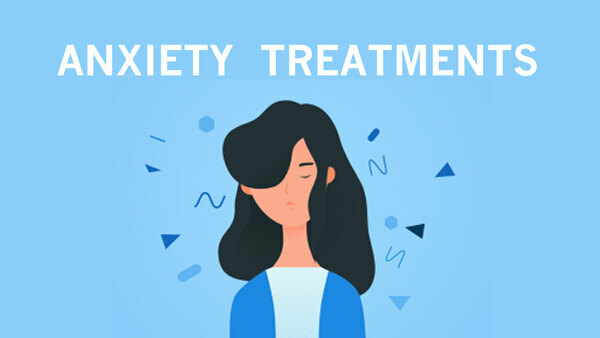 Cognitive behavioural therapy (CBT) is go to therapy when you have anxiety. It is the often the first idea your doctor will suggest. There is a reason for this: it remains the most effective treatment we have1. However, even with CBT, we only see a success rate of around 80%2. For a significant percentage of people, CBT does not produce the desired result. If you find yourself in this situation, what do you do next? Counselling refers to a range of different therapies. However, they all share a base of being talking-based. Studies show it can be highly effective3. The disadvantage of counselling is that it is hard to know how long it will take4. It could take eight weeks, or it could take a year. Currently, we have limited evidence as to how much time is required. This is difficult if you are funding it yourself. When you did your first round of CBT, did you do all of the homework? Like, did you really do it? I ask that not to be mean, but because the first time I did CBT I did not complete all of the homework. I was new to it and did not understand that was an essential part of the therapy. I wrote about this in a previous blog post (see Why CBT doesn't work - and what to do about it). If you are not familiar with CBT when you start the programme, you may not have gained the best results from it. Additionally, you may not have clicked with your therapist. This does not mean that you will not have a better relationship with another. The idea of accepting our anxiety may sound like giving up to some. However, there is a difference between giving up, and accepting that you will always be anxious, but could still lead the life you want to live. In fact, there is a therapy for it. It is called Acceptance & Commitment Therapy (ACT). ACT is new, but there are some useful books out there for it. Try The Mindfulness and Acceptance Workbook for Anxiety by John Forsyth and Georg Eifert5. You can find that talking to others is helpful. If so, consider joining a local support group such as the one run by my charity, Anxiety Leeds. Mindfulness is all about living in the moment. As Paul Dolan points out in Happiness By Design6, our happiness is determined by what we pay attention to. Mindfulness teaches us to steer our minds away from our anxious thoughts and towards experiencing the present moment. The evidence for the efficacy of Mindful Based Therapy continues to mount. A meta-analysis by Boston University look at 39 studies and concluded mindfulness was effective in reducing the symptoms of anxiety and depression7. You probably don't want to try drugs, right? Or maybe you have tried them and found that they did not work for you either. Antidepressants do come with some unpleasant side-effects. However, they can produce remarkable benefits, also. That would be worth having, no? It is a trade-off of pros and cons. The trick with antidepressants is to find the right combination. We do not know exactly how SSRIs work. Therefore, it can take some time to find the right drug and the right dosage for each person. Anxiety can often be exacerbated by lifestyle factors such as poor diet and lack of exercise. Exercise improves our mood8 and increases our ability to handle stress9. Nutrition is now recognised as one of the core determinants of both physical and mental health10. Solving these issues is tough: it takes a commitment to a lifetime of looking after yourself. However, the rewards are worth it. In my new book, I will be looking at how to use exercise, diet, sleep, relaxation and relationships to manage anxiety. If CBT has been unsuccessful for you, it can feel like there is nothing you can do. This is not the case: there are many other avenues open to you, as I have discussed in this article. Everyone's psychological make-up is different. Therefore, it can take time to find the right treatment for each person. Do not give up hope if the first few directions you explore are unsuccessful. Download our free guide to what to do if CBT hasn't worked for you. Published 20 February 2017. Written by Chris Worfolk.